At this point, there may be a few people left in the country who have a YouTube channel and haven’t dumped a bucket of ice over their heads to raise awareness of ALS, a.k.a. Amyotrophic Lateral Sclerosis a.k.a. Lou Gehrig’s Disease. There certainly aren’t many people left who haven’t heard of the whole ice bucket challenge thing, and most of them have at least attached the letters ‘ALS’ to the phenomenon. 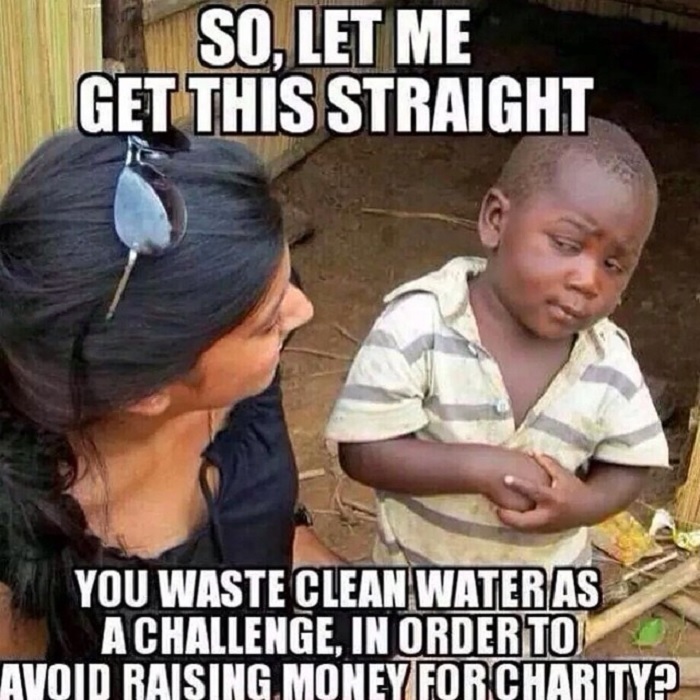 People have found lots of reasons to hate on the ice bucket challenge, from images like the ones on the side here to the fact that the origin story of the phenomenon is essentially identical to that of the average chain letter — somebody did it, and then told three of their friends to do it and challenge three of their friends to challenge three of their friends and so on. Pretty soon you’ve got everyone from Triple-H to George Takei dumping ice on their heads and donating money to help fight ALS. Now, haters gonna hate — that’s a fact. But if you can get past the ‘it’s popular therefore I must hate in order to set myself apart from the crowd’ for a minute and think about this event intellectually, you might see that there’s a powerful lesson to be learned here. I’ll see if I can explicate it using my own ignorance as a tool. When I first heard about the “ALS ice bucket thing,” I assumed that there was some sort of connection between the ALS part and the ice bucket part. Maybe the ice made you so cold and put you in a state of shock that for a moment or two you felt like you had ALS or something. I wasn’t sure, but I remember being quite shocked when I realized that the ice and the disease were actually completely unrelated. 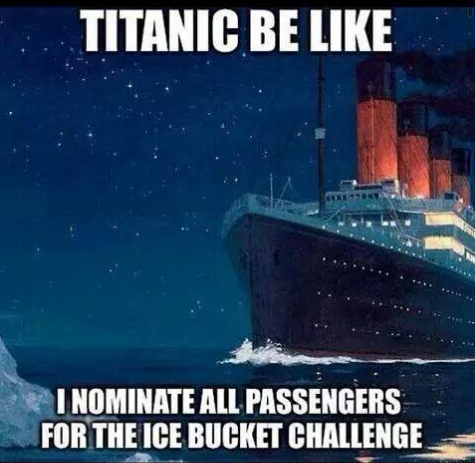 And that’s the lesson for all of your companies worried about your advertisements: the ice bucket challenge is one of the most viral participatory memes of all time, and it has literally nothing to do with the thing it’s raising money for. The ALS Association has raised more than $105,000,000 since the ice bucket challenge started — compared to a whopping $22,000 during the same portion of the previous year — because some people decided to record themselves doing something stupid and share it online. This is a surprisingly common thing in massively successful advertising campaigns. When you want to get people talking about something, you have to start with something that people want to talk about. It’s not your product or service that’s going to get people talking — it’s the sheer cool factor of whatever content you create that will do that. The connection to your business, product, or service need only appear for a moment of video time or in one subtle place of the text or image; let the content do the heavy lifting. We’ll talk about this same theme from a different angle on Wednesday.